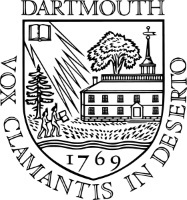 The Dartmouth College campus is within driving distance from several airports, and is easily accessible by bus from major cities. Serviced by most major airlines. The Dartmouth Coach to Hanover runs every few hours. Logan's Car Rental Center offers a number of different car rental options. Serviced by several major airlines, including Southwest and American. Greyhound buses run direct to campus several times daily. Car rentals are readily accessible at the airport. Cape Air flights from Boston and NYC. From Boston Logan Airport and South Station to campus, every 1-2 hours daily. Click here for complete schedule and to book tickets. From NYC to campus, 4 times daily. The 8:30 am bus gets to campus at 1:15 pm. Click here for complete schedule and to book tickets. From Boston South Station and Manchester Airport to campus. If connecting from Logan Airport, take the SL1 bus to South Station. The 10:30 am bus from South Station (11:35 am from MHT) gets to campus at 1:00 pm. Click here for complete schedule and to book tickets. We recommend the following hotel.